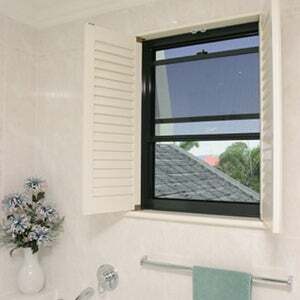 It’s common practice in Australia to have a screen over windows and doors. While some of these will simply be fly screens to ensure that creepy crawlies don’t find a way inside, others are used to keep bigger unwanted guests out. Though we like to imagine that we live in a safe neighborhood, or that getting broken into won’t happen to us, having security screens installed in your doors and windows may give you and your family some extra peace of mind. But when it comes to finding a security screen to install, it can feel like a tough market to break into, particularly if you’re not sure what level of security you’re after. In this Canstar Blue buying guide, security screen types and potential costs will be explored to ensure that you’re armed with best knowledge for your home security needs. While all security screens have the same aim of keeping your home safe from unwanted visitors, screens are available in a number of different materials and blends, with installation another factor to consider. Primarily made from mesh, security screens can additionally be made from punching holes into a sheet of stainless steel, although this will come down to your style preferences. Similar to fly screens, security screens allow for a cool breeze to roll through your home, as well as ensure that your view isn’t ruined. Generally made from stainless steel or aluminum, some screen providers may offer specialised products and blends, each with different properties to suit specific areas of your home. Stainless steel screens are the most common variety, and are generally stronger than other materials, but may need more upkeep if exposed to the elements for long periods of time. Aluminum screens are similarly common, and although more expensive upfront, do require less maintenance. Most providers will also offer their own range of screens, with blends of aluminum and metal alloys making up the bulk of the market, although if you’re looking for the toughest screen, the Marine-grade stainless steel screen may be the option for you, boasting an increased thickness and stronger mesh matrix. 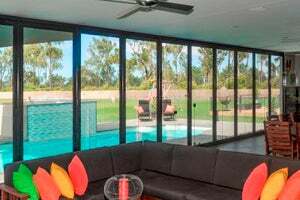 In addition to the material type, one of the main points that Aussie households will have to consider is the installation process, as the screen will need mounting, and a frame. The installation comes primarily down to two options – flush mounting or tube framing. Flush mounting frames may be better suited for those looking for a seamless aesthetic around their doorframes and windows, although those after an easier installation method may find the tube mount more appealing. However, tube mounting will generally add a few centimeters to the door opening, meaning you’ll have to consider how much space you have. If you’re installing the screen yourself, you may have to additionally consider how you attach the mesh to the frame. The easiest option is to glue the mesh to the frame, although this method may need regular maintenance as the glue cracks and ages. Another option is installing a specialised clamping system to hold the screen in place, which is generally considered to create a stronger anchor for the screen. While the screen itself is the main barrier between someone getting into your home, if it is not secured to the frame, it can be easily peeled away, meaning if you’re not confident in your abilities, you should contact a local provider and installer to ensure you have the best fit for your home. How secure are security screens? Obviously the most important factor of a security screen is its actual security, and how well it can keep your home and family safe. As such, security screens are heavily regulated, with each brand and type having to pass multiple tests and standards set down by national regulators. Tests include the Dynamic Impact Test, Knife Shear Test, Pull Test and Fire Safety Test, with each provider often listing the industry standards on their websites. While security is arguably the biggest factor in your decision process, there are a number of other areas that you will have to consider before the installation process. 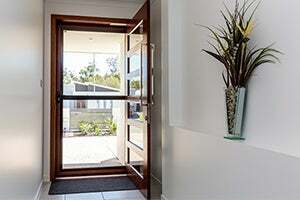 Installing security screens may impact on the overall aesthetic of your home. Thankfully some providers offer screens in a number of colours and finishes to help blend in with your home. The colours available will be dependent on the finish of your screen, which are primarily available in painted or powder coating options. Painted doors may be the better option for those looking for a wider variety of colours, but will likely fade if exposed to the harsh Australian sun, whereas powder coating – which is applied electrostatically – won’t fade, although your choice of colours may be limited. Similar to fly screens, security screens can additionally be used to block UV rays and heat, helping you to stay cool during summer, with some screens also providing additional protection from fires and hail storms. If you live in an area that’s prone to wild weather conditions, it may be worthwhile looking into the protection security screens can provide against the weather. What’s the difference between fly screens and security screens? The main difference between a fly screen and security screen is the material. The majority of fly screens are made from fiberglass mesh, which can be easily torn or destroyed, making them ineffective in terms of security. Similarly, the brackets attaching the screen to the frame and mounts are also a big point of difference, with those needed for security screens more robust to ensure the screen stays in place in the event of a potential break-in. While most security screens are intended to keep people on the outside of your house, there are some screen types and brands that are meant to keep people in. These include Fall Prevention screens, and are primarily marketed for parents with young children who may be prone to climbing and leaning on windows. 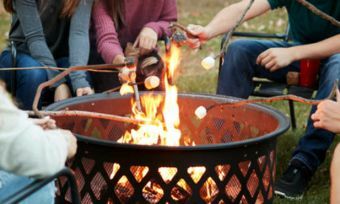 There are a number of brands that offer screen options to ensure your kids are safe around the house, and may be worth considering for those with multiple storey homes. Security screens are primarily sold through registered and qualified installers, with each often providing custom screens for individual households. Perhaps the most recognisable name in security screens here in Australia is Crimsafe. 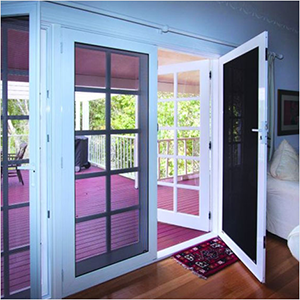 Pre-made security doors can additionally be purchased from hardware stores such as Bunnings, although it’s best to look into all your options to ensure you get the right fit for your home. Security screens are generally one of those “better safe than sorry” purchases, as while the likelihood of someone breaking into your house is statistically low, it can have a long-lasting affect on those who have unfortunately experienced it. While it will come down to individual factors, such as your house and contents, the area where you live, as well as budget, having a set of security screens installed may give you additional peace of mind, with the cost a small price to pay. At least, it’s worth having a chat with suppliers to see what they can offer you, and at what price.